Un film di Peter Greenaway. Con Lambert Wilson, Brian Dennehy, Chloe Webb, Alfredo Varelli, Sergio Fantoni. 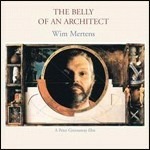 Titolo originale The Belly of an Architect. Drammatico, durata 118 min. - Gran Bretagna 1987.